February 23, 2014 on the 69th Anniversary of the flag raising. Welcome to 5th Marine Division.com! 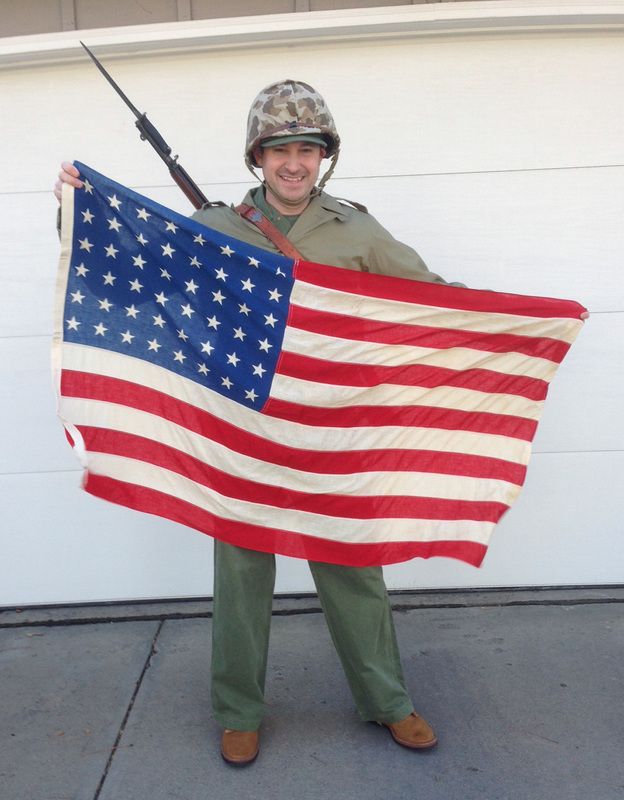 My name is Eric Krelle of Omaha, Nebraska and I am a historian of the 5th Marine Division, a collector of World War II and Vietnam militaria, and an active World War II reenactor. 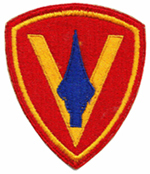 I first became interested in the 5th Division after a visit with my great uncle Bob Lauritsen. I guess I had always known growing-up that he had been a Marine, but it wasn't until sometime around 2002 that I learned that he actually served on Iwo Jima. I began a letter writing correspondence with Bob in the summer of 2006 and quickly became fascinated by all of his stories, insights and humor. I began heavily collecting World War II Marine uniform and equipment items that summer which has eventually developed into a fairly extensive 5th Marine Division collection. In 2012, I started building this website as a little tribute project to Bob. And now with a lot of time, research, and energy it has grown to become the most extensive 5th Marine Division website on the internet today. I hope you stay awhile and learn a little more about the truly incredible men who served in the Spearhead Division. And as Bob always ended his letters to me... SEMPER FI!